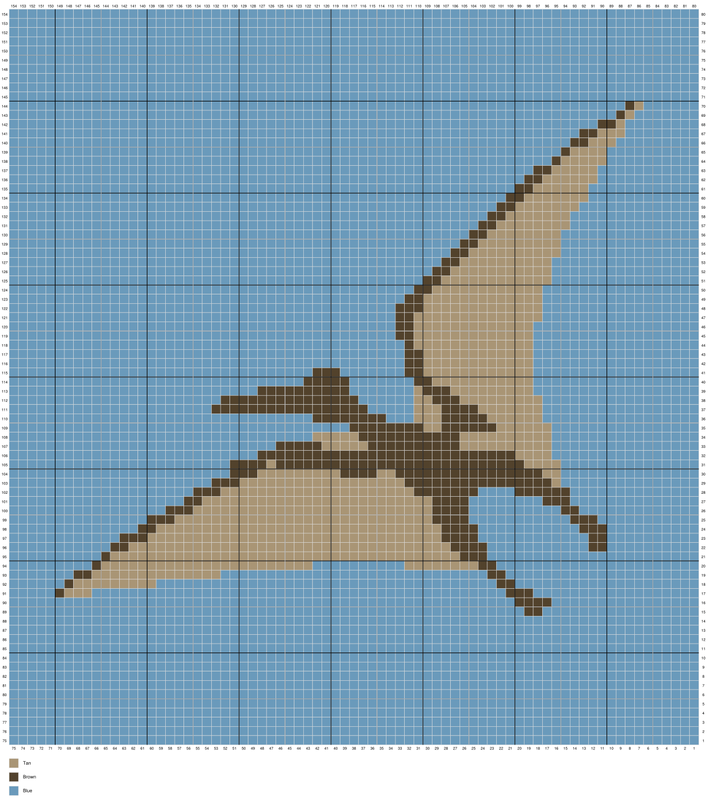 Here is the next design in my DINOSAUR series! The Pterydactyl is the most popular flying dinosaur. They're flying high in sky! This blanket ended up being a square shape design, because I just couldn't stand to crop it, because it looked to lovely! 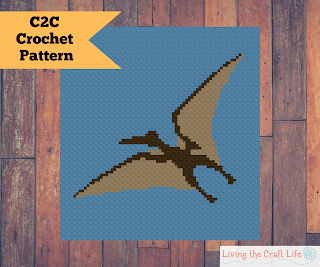 Here is the design for the Pterodactyl C2C Blanket! 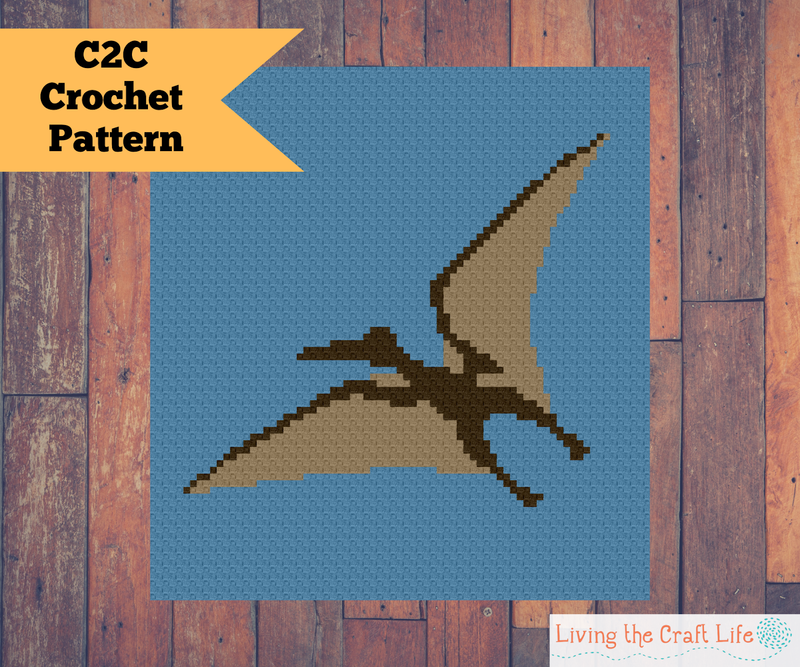 Gauge not essential, C2C Crochet a triangle 8 blocks high. If your triangle measures 5.5” tall, your project will end up being 50”x 52”.